With the Grant Funding Assistance from the Department of Agriculture, Govt. of India, Esvin Tech had set up a bio-fertilizer production unit of 150 tpa capacity. Company produces following Biofertilizers and Biopesticides for supply to Sugar mills for application in their sugarcane fields and Paper mills for application in their farm forestry. Biofertilizers are cells of efficient strains of specific microorganisms that enhance the productivity of the soil either by fixing atmospheric nitrogen or dissolving soil phosphorus or stimulating plant growth through synthesis of growth promoting substances. 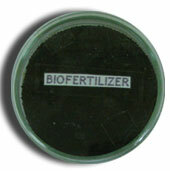 Biofertilizers helps to reduce 25% of inorganic fertilisers while maintaining soil texture and soil health. Biofertilizers helps to increase the yield by 10% to 25%. Seed Treatment: Mix 500 grams of Biofertilizers with 5% jaggery solution. Dry the seeds in shade after mixing with the above solution and sow within 24 hrs. Field application: Mix 3 to 5 kgs of Biofertilizers with 100kgs of Biocompost or FYM and broadcast in one acre of field, just before sowing. Do not mix with chemical fertilisers and apply 2 weeks before or after chemical fertiliser/ pesticide application. 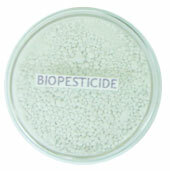 Benefits of biopesticides include effective control of insects, plant diseases and weeds, as well environmental safety.